Algeria’s Uprising: The Beginning of the End of ‘Le Pouvoir’? 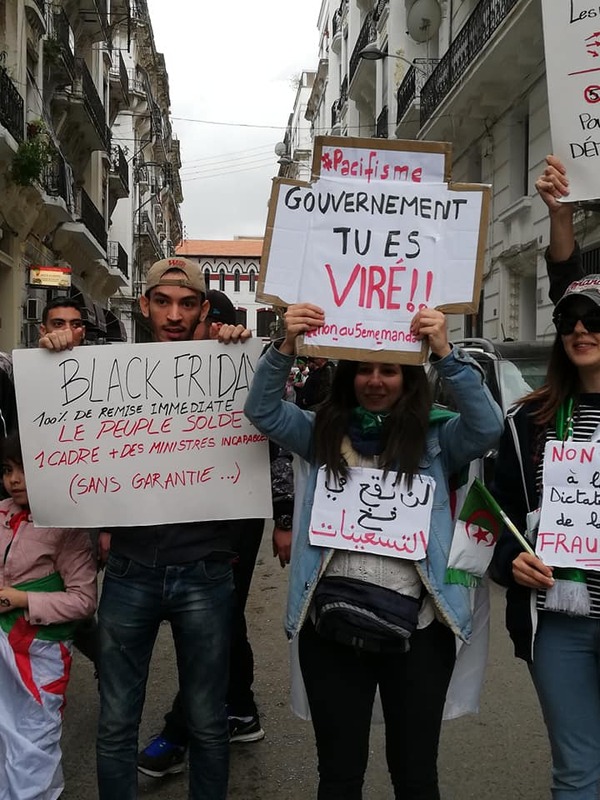 Home > Blog > Algeria’s Uprising: The Beginning of the End of ‘Le Pouvoir’? Algeria is going through a revolutionary moment. 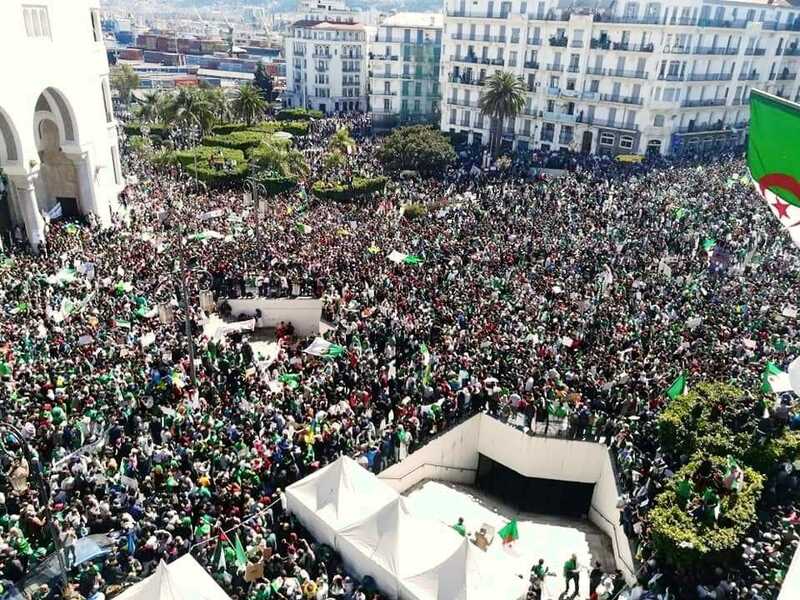 Algiers, once known as ‘the Mecca of Revolutionaries’, had the largest demonstrations in its history, as millions of citizens protested against President Abdelaziz Bouteflika who is seeking to remain in power after 20 years of continuous rule. The protest movement now demands the removal of the entire regime. The phrase ‘Yetnahaw gaa’ (all of them will be removed) has become widespread among protesters and on social media, reinvigorating a wave of mass emancipatory politics in the country. To what extent can the current protests really challenge the system? Will the country go through a phase of superficial reforms allowing the regime to survive by making a few concessions, or will this mass movement produce revolutionary change? Algeria’s regime, referred to among Algerians as ‘Le Pouvoir’ (the Power), constitutes an opaque network of military, political and economic elites who have, despite some variations and turbulence, astutely managed to rule the country without interruption since independence. Radical change will depend on the capacity of the popular movement to maintain pressure on the system and shift the balance of power. 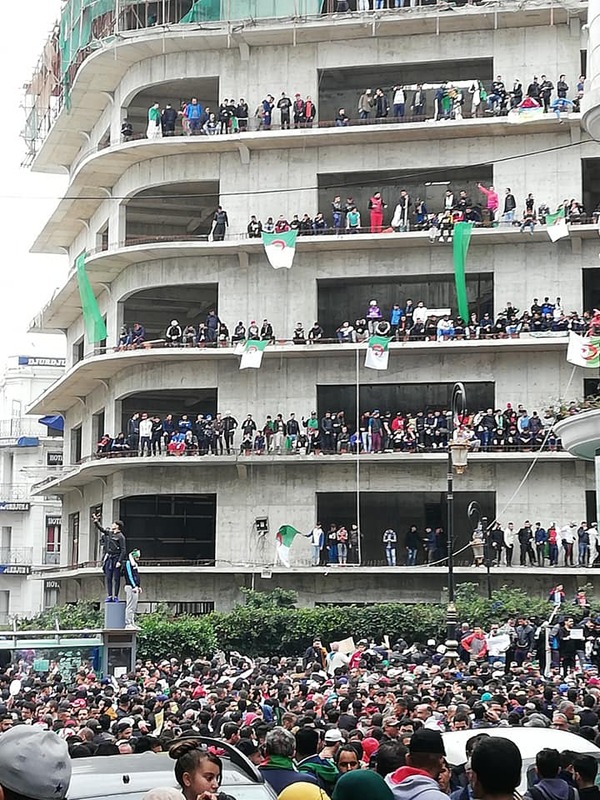 On 22 February hundreds of thousands of Algerians took to the streets to voice their rejection of Bouteflika’s decision to run for a fifth term. Another large-scale demonstration took place on 24 February 24 at the call of Mouwatana, a political platform in the opposition. These demonstrations grew in the following days to involve millions of Algerians across the country. These mass protests have been mainly peaceful with the slogan ‘Silimya, Silmiya’ (Peaceful, peaceful) emerging as a defining motto of the movement. The mass contestation includes all social classes, old and young people as well as many women. 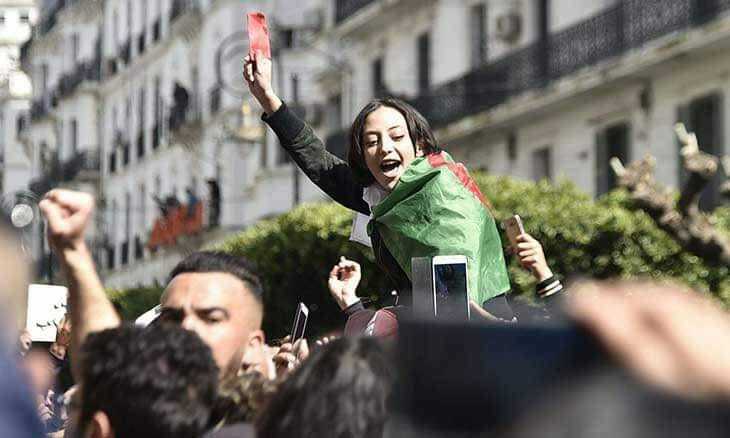 Students have been leading impressive anti-Bouteflika rallies on weekdays. The government announced the early closure of universities in an unsuccessful attempt to weaken the student’s mobilisation. Several corporations have joined the protest movement including lawyers, trade unionists, teachers, journalists, lecturers, and even judges. Bouteflika, 82 years old, has been president since 1999. He has been confined to a wheelchair after suffering a stroke in 2013. The ailing octogenarian rarely appears in public and has not given a public address for the past seven years. Realising the threat paused by the upheaval, the regime responded with a letter attributed to president Bouteflika published on Algeria’s Press Agency on 10 March. The letter announced the delay of the presidential election initially set for 18 April and promised that the incumbent president would not run for a fifth term. This means that Bouteflika’s mandate will be stretched indeterminately until the organisation of a vaguely defined transitional conference, led by the incumbent regime. Old faces of the system such as Noureddine Bedoui, Ramdan Lamamra, and Lakhdar Ibrahimi have been appointed to lead the announced transition. This manoeuvre failed to appease the movement. 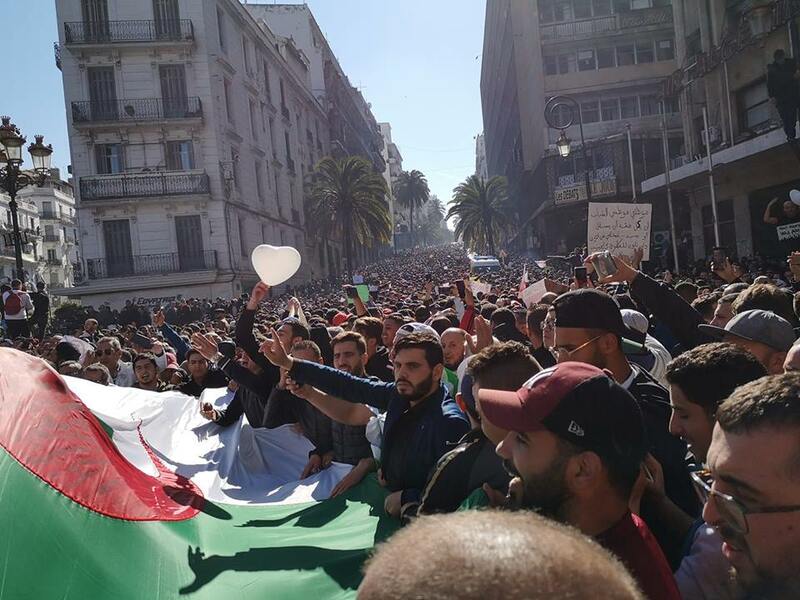 On 15 March, millions of Algerians took to the streets, in what was arguably the biggest demonstrations in the country’s history. People demanded the immediate departure of the president and his entourage and expressed their mistrust of any government-led transition. 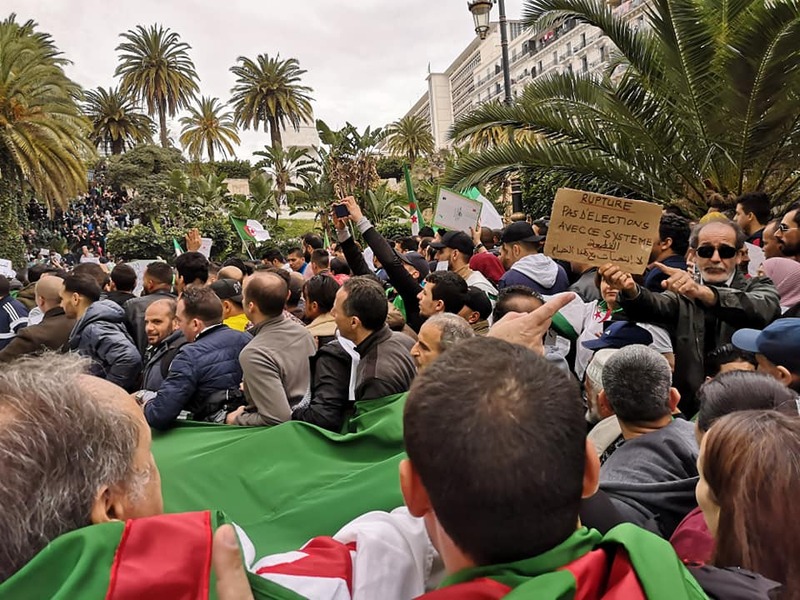 Protesters chanted slogans like ‘Bouteflika Matzidch Edkika’ (Bouteflika, do not stay an extra minute), ‘FLN, Degage’ (FLN, get out), ‘Djazair hourra, democratia’ (a free and democratic Algeria), and the regionally-famous ‘El Chaab yourid isskat ennidam’ (The people want to bring down the system). For the past couple of years, Algeria appeared impervious to the popular demonstrations sweeping across the region. Despite the outbreak of sporadic strikes and protests, these have remained contained and failed to transform into confrontations against the regime, until now. The confluence of two key factors can explain Algeria’s long ‘stability’. First, Algerians mostly feared a return to the political turmoil and violence of the 1990’s civil war. The painful memories of the décennie noire (black decade) are still present in people’s collective consciousness. Second, oil rents have allowed the government to buy social peace and co-opt several opposition groups over the past two decades. Government subsidies cover a vast array of goods and services ranging from bread and milk to energy subsidies and social housing programmes. They reached a total of €62.8 billion in 2018. This high level of redistribution makes Algeria Africa’s least unequal society. But as Frantz Fanon, who was a fervent supporter of Algeria’s independence, rightly says in The Wretched of the Earth published in 1961: ‘The big confrontation cannot be indefinitely postponed.’ The strength of these two inhibiting forces described above faded with time. On the one hand, the wall of fear collapsed thanks to a generational change. Over 70 per cent of Algeria’s population, today is believed to be under the age of 30. The young generation who has been leading the protests is not old enough to remember the civil war and is thus not impaired by the spectre of political violence. 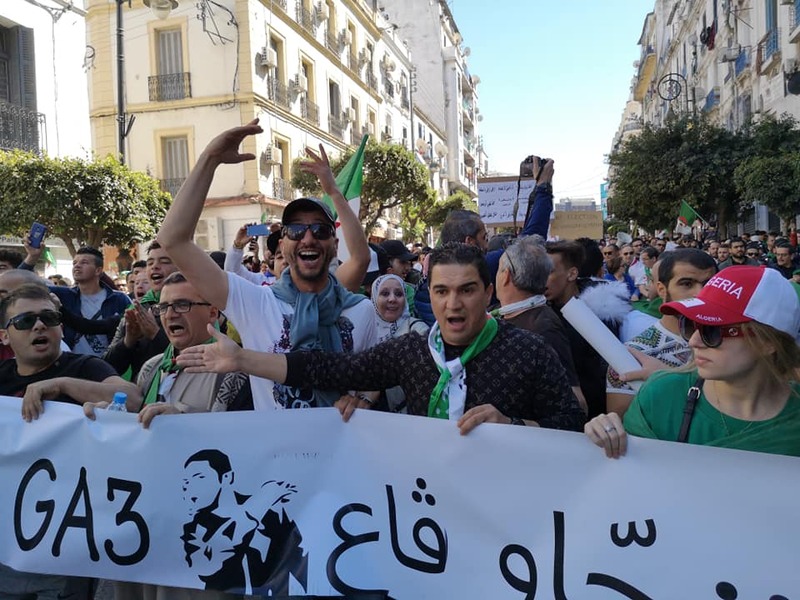 Moreover, the regime’s attempt to spread fear by bringing up the Libyan and Syrian scenarios failed miserably, with protesters chanting among other things ‘Dzayer machi Sourria’ (Algeria is not Syria). On the other hand, the drop in oil prices in 2014 undermined the government’s redistributive capacity. Recent financial laws have shown an apparent turn towards austerity, with cuts in social spending and new taxes. While Algeria has free universal healthcare and free education, including tertiary education, the quality of these services has deteriorated tremendously over the years due to lack of investments and tensions created by demographic growth. Besides, the incumbent regime failed to build a vibrant industrial sector and to diversify the economy away from hydrocarbons, resulting in a vulnerable economy and high rates of unemployment, estimated at 30 per cent among the youth. Public frustration was burgeoning over limited freedoms, decreasing purchasing power, and significant corruption scandals. In the summer of 2018, senior politicians and military figures were found involved in a colossal cocaine scandal. The regime’s logic was to encourage Bouteflika to run for a fifth term to maintain access to state privileges and sustain accumulation within its networks. However, the announcement of the regime’s aim to present Bouteflika for another term came as an unbearable extra humiliation for Algerians. ‘Le pouvoir’ was not prepared for the massive mobilisation the declaration created. In neighbouring Egypt, the deep state emerged intact from its confrontation with the protests. Resistance to the system has been either violently repressed or strategically co-opted, allowing the old order to thrive, under a new face. In Egypt, as in Algeria, the army holds tremendous political power, and thus the question of whether Algerians will succeed where Egyptians have failed is pertinent. However, the Egyptian scenario is in some respects similar to Algeria’s aborted transition of 1988. This time around, Algerians seem determined to break free from the established system despite its renowned tenacity. After independence from French colonialism in 1962, the National Liberation Front (FLN) emerged as the sole actor with political and historical legitimacy. The critical role played by the FLN in the decolonisation process and its centralisation of power during the last years of the colonial period were the determining factors in the establishment of the postcolonial FLN one-party system. The political and armed wings of the FLN allowed for the creation of a regime based on a strong alliance between the army, the presidency, and the party. The ongoing contestation of the political order is not unprecedented. The violently repressed 1980’s Berber Spring represented the first large-scale rebellion against the system. In 1986, the decline in oil prices reduced Algeria’s external revenue by 55 per cent in a single year. This hastened an acute socioeconomic crisis characterised by high unemployment, soaring inflation, and widespread shortages in essential goods. By October 1988, anti-government riots spread across the country, forcing the abolition of the one-party system, the introduction of the first democratic reforms in North Africa and the Middle East and the move from a state-socialist economic model to a market-driven economy. Yet political Islam emerged as a serious challenge to the FLN-Military coalition. After the left-leaning opposition had been crushed, the Islamic Front of Salvation (FIS), emerged as the only serious political force channelling popular anger. 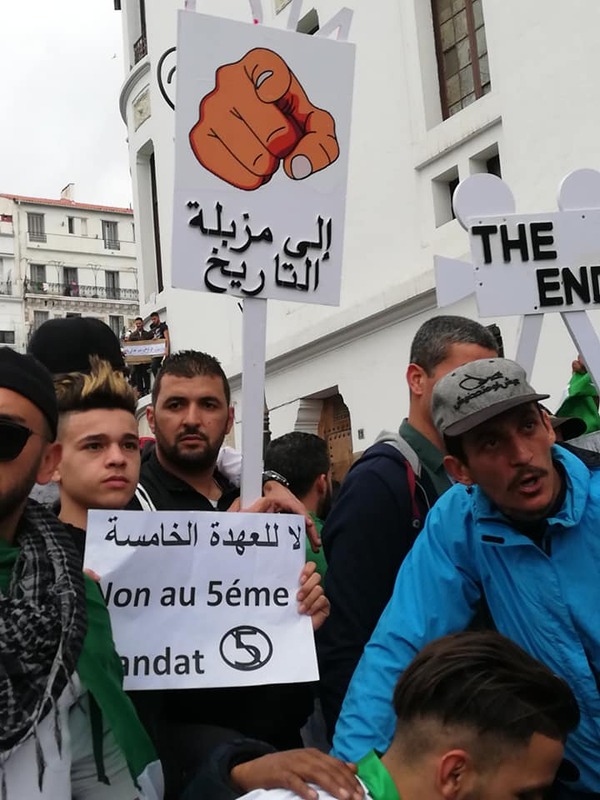 The idea that a return to Islamic values was the solution to the Algerian predicament was widespread among disenfranchised segments of the population. In the first multi-party legislative elections held in the country in December 1991, the FIS was poised to win the popular vote. Threatened by the loss of its monopoly on power, the military, backed by high officials within the FLN, staged a coup d’Etat in 1992. The coup radicalised FIS supporters and Algeria entered a decade long civil war during which the army and various Islamist groups fought mercilessly causing an estimated 150.000 deaths. ‘Le pouvoir’ eventually succeeded in crushing the Islamist insurgency, restoring its grip on power. The deep state emerged virtually unscathed from the civil war. In 1998, Abdelaziz Bouteflika – who had worked as Fanon’s secretary before independence – was elected president after all other candidates had withdrawn from the race claiming that the military rigged the elections. Bouteflika’s rule was marked by political repression, the emergence of a prominent oligarchy, and rampant corruption. In this period, the regime demonstrated a somewhat confused ideological orientation, which combined features of both economic nationalism and neo-liberalism. Depending on whether oil prices were in a ‘boom’ or a ‘bust’ cycle, the ruling elite adopted either a protectionist policy or espoused a path of austerity and liberalisation. Most of the opposition was co-opted, including Louisa Hanoune’s Parti des Travailleurs (Workers’ Party), a Trotskyist party which regularly voiced its support to Bouteflika and the regime. While the regime succeeded in adjusting and manipulating the previous crisis by making concessions on the margins, its current capability to come up with a survival plan appears extremely weak. The mere fact that the ailing Bouteflika was the only option the regime had to sustain itself in power indicates its fragility. The regime’s inability to find a successor is partly due to the difficulty in agreeing on a consensual figure from within the system who could guarantee the sustainability of access to existing power networks. The regime is far from homogenous, and power struggles between different clans are evident. The 2015 firing of intelligence chief Mohamed Mediène, known as Toufik, who was perceived as the true power-holder in the country was an illustration of this. After Toufik’s eviction, it seemed that the presidential clan which includes the president, his brother Saïd Bouteflika, several political and business figures, and the military clan led by General Gaid Saleh, chief of staff of the national army, had settled on a new, more centralised, power balance. The military has so far stayed in its barracks. Recent statements made by the army have expressed sympathy for the protest movement. The messages emphasised the privileged relationship between ‘the army and the people.’ The protests have according to General Gaid Saleh shown a ‘great sense of patriotism and unparalleled civic behaviour.’ Yet no reference has been made to Bouteflika’s suggestion that he remain president. While there is no explicit support for the protest movement demands, it looks like the army is in the process of distancing itself from Bouteflika and his clan. Former colonial power France has already voiced its support to Bouteflika’s plan to unconstitutionally remain in power until a transitional conference is held. Emmanuel Macron applauded Bouteflika’s move and described it as ‘opening a new phase in Algeria’s democracy.’ Dominique de Villepin, previous French minister of foreign affairs, has appraised the regime for avoiding a disaster through the announced reforms. For the West, the ‘security’ and ‘stability paradigms’ have long triumphed over other concerns. Based on a colonial doxa which posits that countries in the region can only be ‘stable’ under the rule of an autocratic regime, western powers have not voiced serious support for the protest movement. Europe’s incommensurate fear of a new migration wave means that the EU will back the alternative that ensures the most ‘stability.’ Yet, for the millions of Algerians determined to change the course of history, ‘stability’ lies in emancipation from a corrupt and repressive system. A truly popular and democratic Algeria would undoubtedly challenge France’s interests. Algeria’s relationship with the old colonial power is based on asymmetric exchange. For years, French firms have benefitted from juicy contracts, including the the Metro of Algiers and the management of several airports across the country. These benefits came in exchange of no meaningful technological transfers. The free trade agreement between the EU and Algeria has resulted in a significant trade deficit for Algeria. It is estimated that between the agreement’s adoption in 2005 and 2016 Algeria lost over €7 billion . New leadership is required for the country to challenge inherited unequal agreements and put structural transformation back on the agenda. In brief, the historical mobilisation which started on 22 February poses a real threat to the continuity of ‘le pouvoir.’ Young people leading the demonstrations are aiming to go beyond the usual arrangements between parties and the establishment to produce radical change. A meaningful transition entails dissolving the current political order and building a fresh democratic system, based on popular inclusion. The Algerian regime seems quite fragmented, and it has so far failed to find viable alternatives for its endurance. This situation opens the doors of optimism and hope. This being said, the black box of the regime is notorious for its manoeuvres and it may have new cards to play. The interaction of mass mobilisation with organised politics in the coming weeks will determine the rules of the game. Tin Hinane El Kadi is a member of Le Collectif des Jeunes Engagés (The Collective of Young Algerian Activists), an Algerian organisation advocating political change and youth involvement in public affairs. She is also a political economy researcher working on the ESRC-funded research project ‘Tale of two green valleys’ at the London School of Economics and a data analyst for the Citing Africa project. Photographs: Tin Hinane El Kadi is responsible for all of the photographs in the post. excellent, well-grounded analysis of the political-economic context of the recent Algerian popular protest movement. Thanks for a really insightful article. Could you say a little more about the relationship between the mass movement and the army? Does the movement have illusions in the army as being ‘the people’s army’ in the way nationalists and others did in Egypt? Secondly,!can you say anymore about the role of the trade unions in the movement.